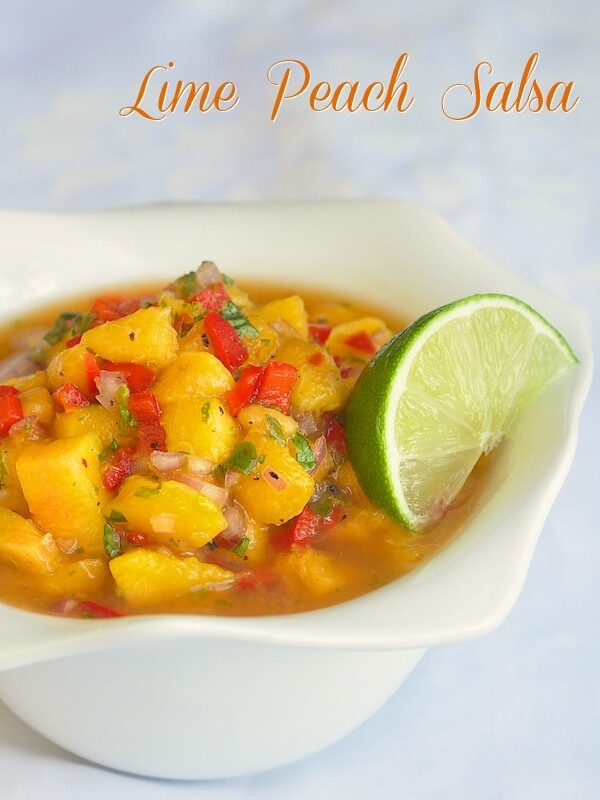 Lime Peach Salsa - full of summer freshness! 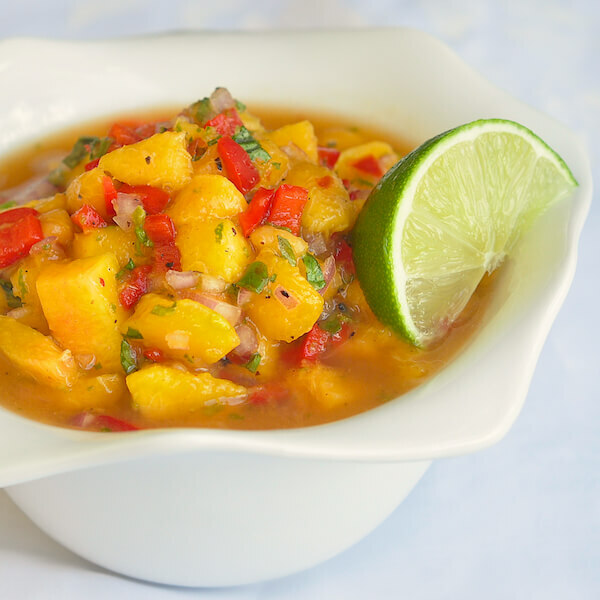 Lime Peach Salsa – a summer fresh recipe to try at the height of peach season. It goes deliciously well with everything from grilled fish to quesadillas! With the summer peach season in high gear we’ve been enjoying this beautiful fruit in several ways this week, including last evening when we had this great fruit salsa on some delicious grilled chicken quesadillas. We also use this salsa on taco salads, with grilled salmon or just with corn tortilla chips as a healthy snack. Lime peach Salsa - a summer fresh recipe to try at the height of peach season. It goes deliciously well with everything from grilled fish to quesadillas! Toss all ingredients together and let sit in the fridge for a couple of hours before serving. I made this yesterday to go with my Spicy Baked Salmon & it was SUPERB! This recipe made lots though so I have some for this evening to go with grilled chicken.